Cover artwork from the souvenir program for the 1952 Broadway revival of Pal Joey. Pal Joey is now considered a classic of musical theater—but that’s no thanks to the 1957 movie adaptation, which starred Frank Sinatra, Rita Hayworth, and Kim Novak. The film included major revisions made without O’Hara’s input: Joey was turned into an amiable singer, the locale was changed from Chicago to San Francisco, the script and lyrics were thoroughly bowdlerized, a happy Hollywood ending was added, and four numbers were bafflingly replaced with songs from entirely different musicals (including “My Funny Valentine” and “The Lady Is a Tramp,” from Babes in Arms). One of O’Hara’s original Pal Joey episodes was written specifically for The New Yorker’s Christmas issue eighty years ago, in December 1938. As a nod to the season, O’Hara included at the end of the story a short bit about the two kinds of Christmas cards purchased by the nightclub emcee—the naughty and nice versions, one of which accidentally goes to the wrong list. 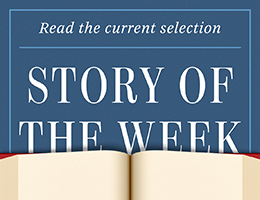 We present it—the story, not the card—as our Story of the Week selection.